The Manufacturer is the premier UK industry publication providing manufacturing news, articles and insights while promoting best practice in the manufacturing industry. Covering all manufacturing sectors The Manufacturer, is an essential resource for every manufacturing boardroom and for senior management, delivering thought leadership articles, regulatory updates and best practice case studies on a monthly basis. Far from simply a print magazine, The Manufacturer has a strong digital and social presence and offers four weekly Digital Briefings – each reflecting a different information priority of our 158,000 reader community (as of January 2019). An active events schedule also attracts an engaged readership community and supports understanding between manufacturers and those providing services to them. Events range from intimate dinners through to themed conferences, with the year culminating in our annual celebration of the industry: Digital Manufacturing Week – consisting of our flagship conference Manufacturing Leaders’ Summit, Smart Factory Expo and The Manufacturer MX Awards. Strong partnerships with academic bodies, including Cranfield University and Cardiff Business School, and trade associations like Make UK (formerly EEF) and MTA make The Manufacturer an important platform for national campaigns and political lobbying. In particular The Manufacturer is proud to support employer-led skills development through its partnership with sector skills council Semta. Nick is responsible for overseeing Hennik’s developing array of content, bringing to the role decades of experience in business and journalism. In his career, he has been a foreign correspondent for national TV, radio and newspapers, as well as founding and operating business magazines. Matt joined The Manufacturer in 2016 and became Managing Editor in January 2017. A former research engineer, he has considerable experience of journalism in technology and engineering, articularly electronics and power. He is a great believer in supporting ‘Made in Britain’. 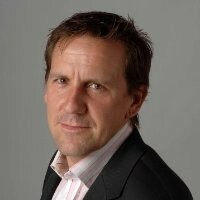 Nick Hussey has a degree in Banking, Insurance and Finance and an MBA and has 25 years experience in media having established. Nick acquired The Manufacturer in 2008 from receivership and has built it into the most significant and well respected publication and web community within manufacturing. Grace has been working for Hennik Research, publishers of The Manufacturer for over 8 years. She worked her way up from events administrator to operations manager before being made Managing Director in 2016. Jonny is an experienced print and online journalist with expertise in manufacturing, commercial aerospace and business leadership. He is growing The Manufacturer’s online presence, with a particular emphasis on community engagement. James oversees the growth of The Manufacturer events, building on a 20-year career in journalism and digital publishing. A professional Essex Man, he has a focus on the UK’s manufacturing start-up ecosystem, and is an enthusiast for the Northern Powerhouse (though not Northern beer). Henry manages Hennik’s commercial activities, developing new concepts and products for The Manufacturer’s readership. He builds bridges between the manufacturing community and the services sector that supports it. Tim oversees the growth of The Manufacturer brand globally. Having worked in journalism, publishing, marketing and events in both Australia and the UK, he is also specialised in the automotive, aerospace and technology sectors.